This section will show how to create a dark metal sheet for using as the background of a web page. Start the Image Editor. 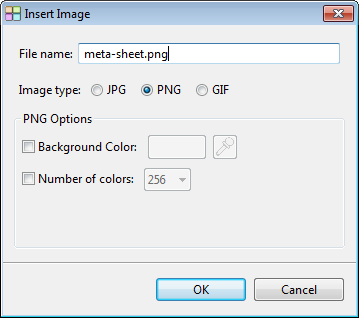 Select Tools -> Image Editor. 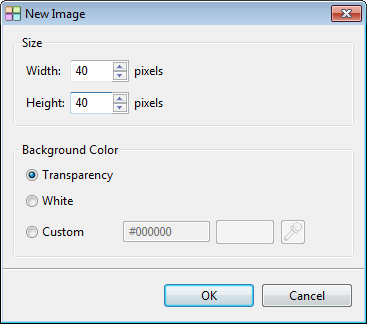 Create a blank image of size 40x40. red = 40, green = 40 and blue = 40. You can also enter #282828 directly to the field "Color". 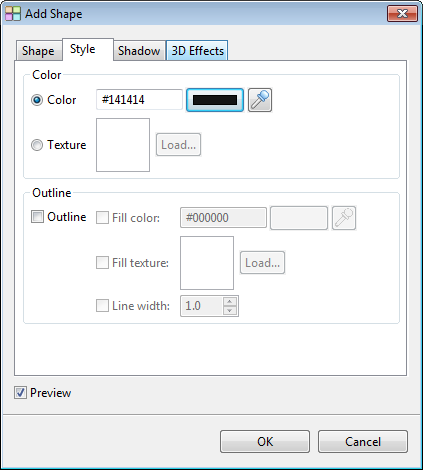 Click this button to open the Add Shape Dialog to create a rectangle. Set the follow values using the dialog. Type = Rectangle, Offset X = 10, Offset Y = 10, Width = 20, Height = 20. Click the Style tab and set the color to Red = 20, Green = 20 and Blue = 20. 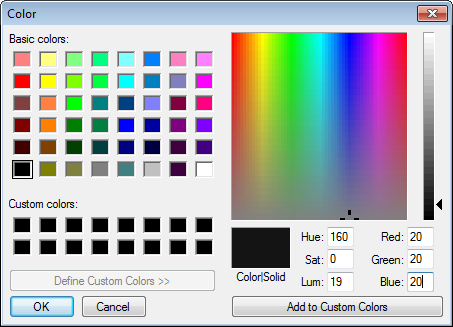 You can also enter #141414 directly to the "Color" field. Then click OK to add this shape. The shape should look like this. 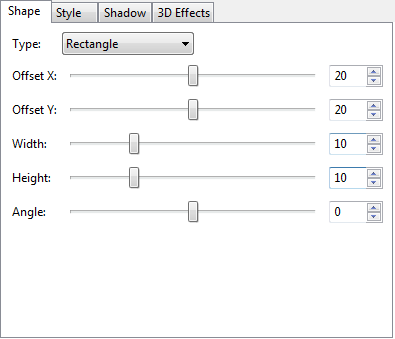 Repeat step 5 with these values: Type = Rectangle, Offset X = 20, Offset Y = 20, Width = 10, Height = 20. Then click on the Style tab to set the color to Red = 80, Green = 80 and Blue = 80. You can also enter #505050 directly to the field "Color". Click OK to add this shape. The shape should look like this. 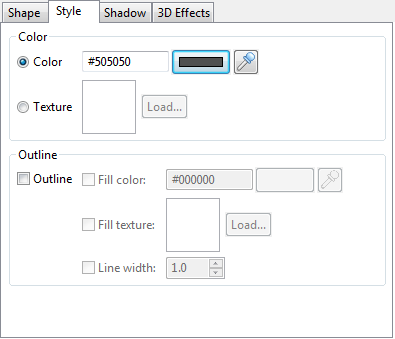 Click on the down arrow of this button and select Resize -> Custom. 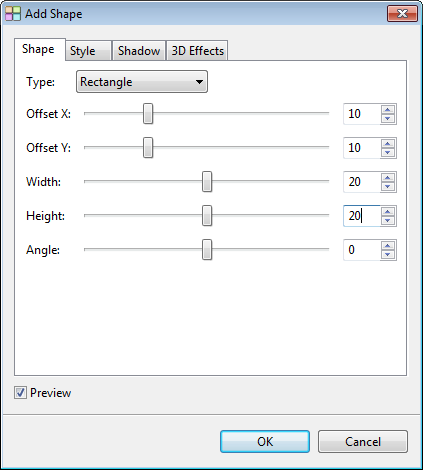 Set the width and height to 4. Click "Insert to Site" to create an image which is just 4x4 pixels. You can choose either PNG and GIF and enter the name of this file. Let's name it "metal-sheet.png". To use this image to create a metal sheet. 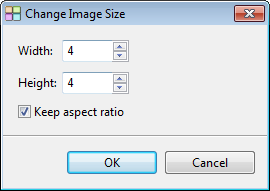 First, create a blank image of the size you need. Let's say 100 x 100 pixels. 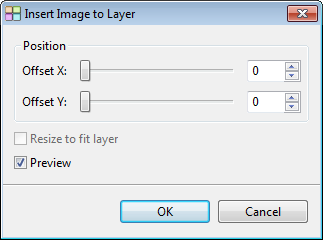 Click this Layer button to select New Layer -> From Current Site. 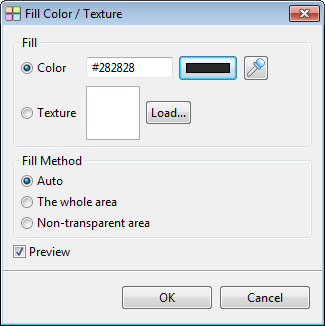 Select the saved image, "metal-sheet.png", from the drop down menu. The following dialog will be shown. Just click OK to place this image to the top left corner of the blank image. It will look like the image below. 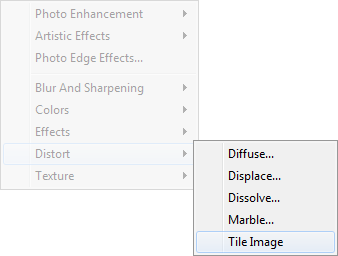 Click this button to select Filters -> Distort -> Tile Image.